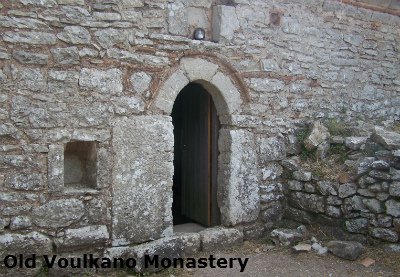 The Old Monastery of Voulkano is built on top of Ithomi Mountain in Messinia at an altitude of 800 meters, on a huge rock. In antiquity, the sanctuary of Ithomatas Zeus was located in this area. 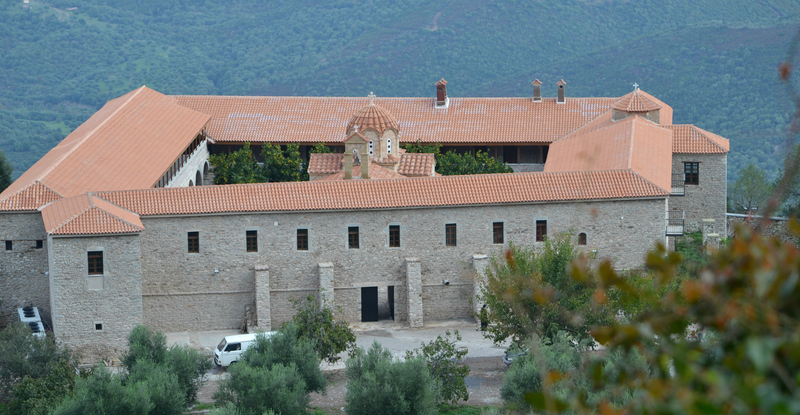 There are two legends about the founding of the Monastery: one says that it was built in the 8th century by monks iconolaters where they found the icon of the Virgin Mary hanging on a bush along with a lit lamp, while the other says that its owner was the Emperor Andronicus II Palaeologus (1282-1328). 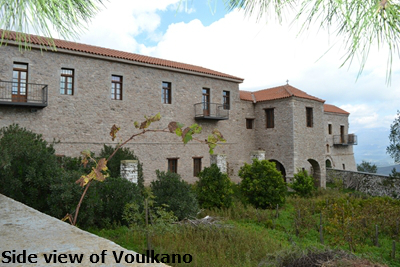 The name Voulkanos (formerly Vourkano), probably comes from the Byzantine ruler in the area. The old church of the Monastery is an aisled vaulted basilica (two-aisle today) with many outer buttresses. Stone blocks from the Sanctuary of Zeus were used in its construction. 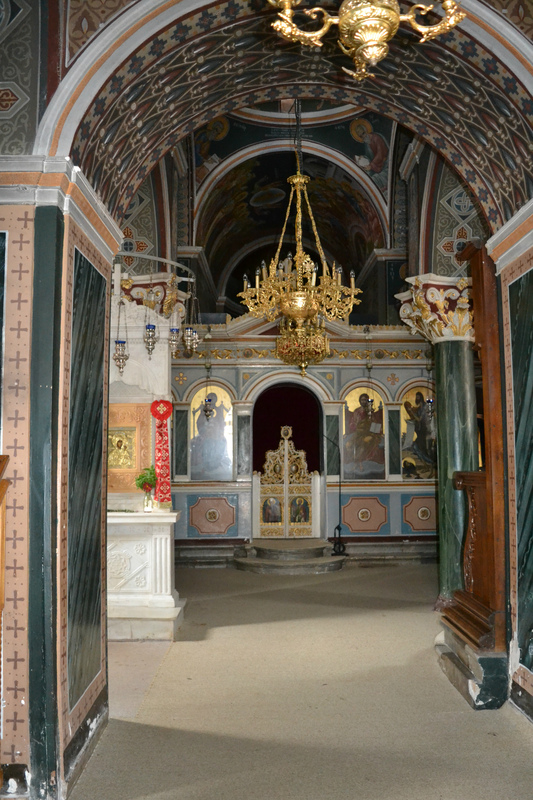 The frescoes of the church were painted by brothers Dimitrios and Georgios Moschos in 1608. 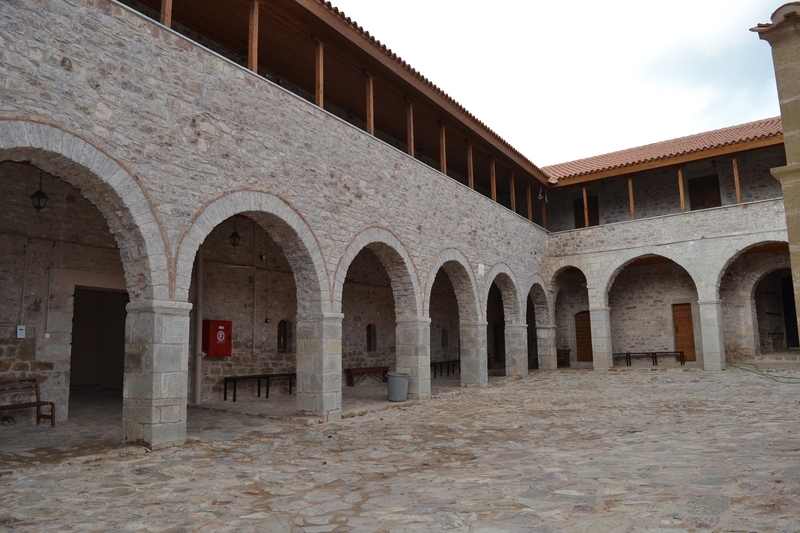 In the Monastery there is a Byzantine Fotanama, one of 11 in Greece, which was a special place with a fireplace with benches around it, where the monks sat to keep warm in winter. The Monastery was abandoned by the monks in 1625, not only because the climb to the monastery was steep and difficult, but because the location was such that the wind, the cold and the sun were very strong with no shelter. The monks moved to the present site of the new monastery between the villages of Mavrommati and Valira. 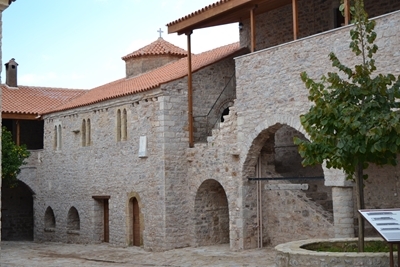 The old monastery has been designated a listed monument. Below the mountain of Voulkanos and the lower hill of Aghios Vassilios, in a narrow passage between the two mountains, where the new monastery of Voulkano was built. 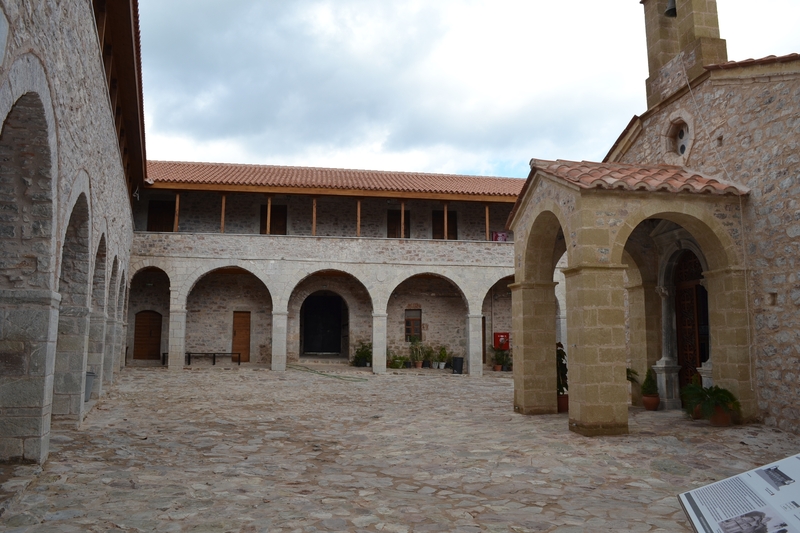 This monastery has its own history, since in 1821 it was the base of operations of the Greek rebels against the Turks. 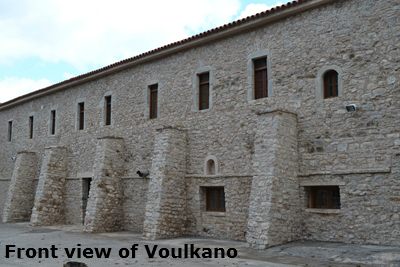 The new Monastery of Voulkano was founded in 1625 on the eastern slope of the mount Eva (Haghios Vasileos) on the plateau controlling the Messinian valley. 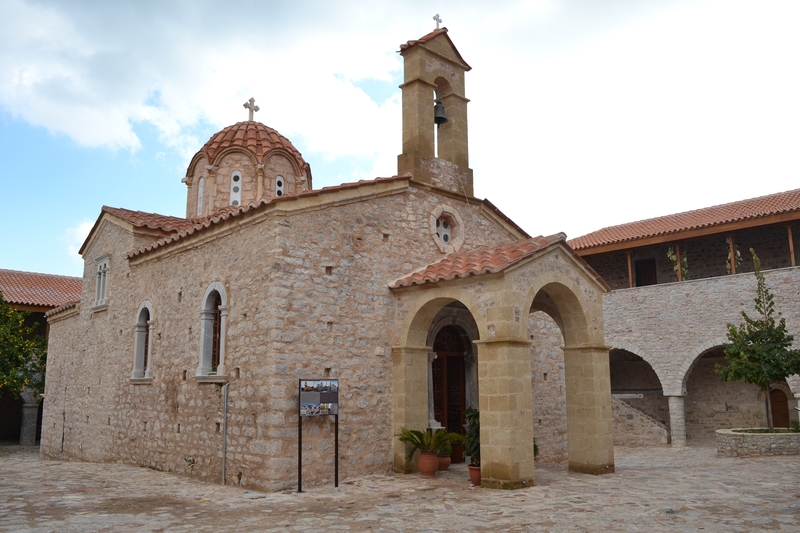 Until then the monastery was located on top of Mount Ithome, where the building remains of the old Monastery, the Epanokastritisssa , are well preserved today. 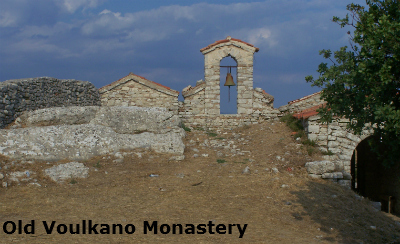 The most used name of the Monastery is due to the medieval name of Mount Ithome, which in the Byzantine period was renamed "Vulkano" or "Vourkano". 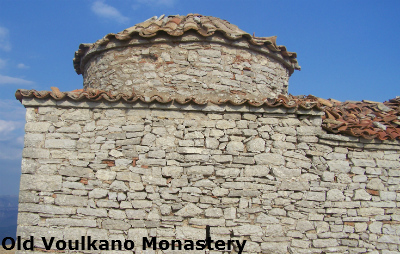 The church of the new monastery was built in 1701, a date documented and supported by morphological and architectural evidence. The church is dedicated to the Assumption of the Virgin Mary and belongs to the two columned cross in square type, with three protruding apses to the east, all three-sided on the outside. The dome is in the form of the so called Athenian type; it has an octagonal drum made of carved porous stone and adjoins a curved cornice of the same material. On the edges of the sides small porous stone columns are lined, crowned with capitals above which marble gutters are fixed. The apses consist of carved porous stone and are traversed by beveled cornices at window sill level. The project " Restoration of the Church of the New Monastery of Voulkano" part of the project "Restoration of the Voulkano Holy Monastery" with a budget of 260,000 euros, and was implemented under the auspices of the Ephorate of Antiquities of Messenia. The Katholikon (main church) of the Voulkano Monastery was built in 1701 and is dedicated to the Assumption of the Virgin Mary. It is surrounded by four wards with extensive modifications having taken place over the centuries. In their original form the buildings were mainly built on the ground floor consisting of contiguous vaulted areas, the construction of which, based on architectural evidence, took place in the 17th - 18th century. From the beginning, two floors had only the eastern part of the southern ward that ended to the east in an impressive tower, corrupted by later modifications. 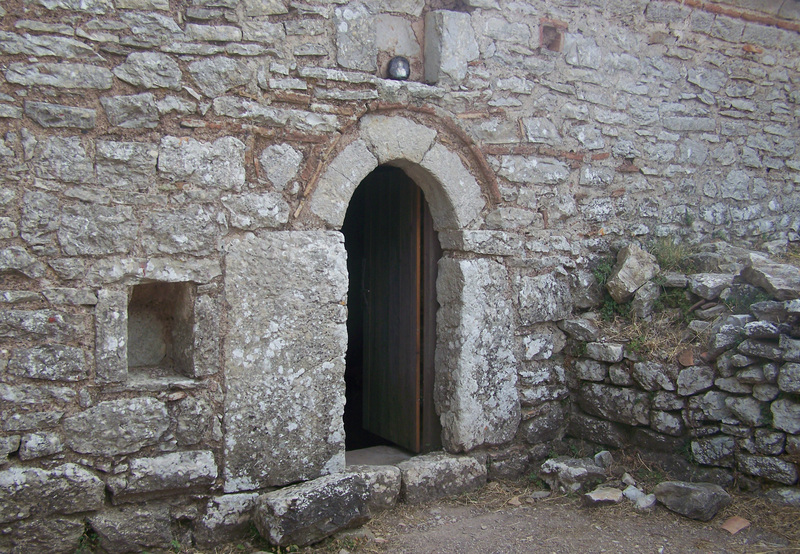 On the ground floor of the tower, the main entrance of the monastery is formed by a passage. A marble inscription dates this part of the monastery to 1712. To the west of the tower, on the first floor, the warming room of the monastery is still preserved. 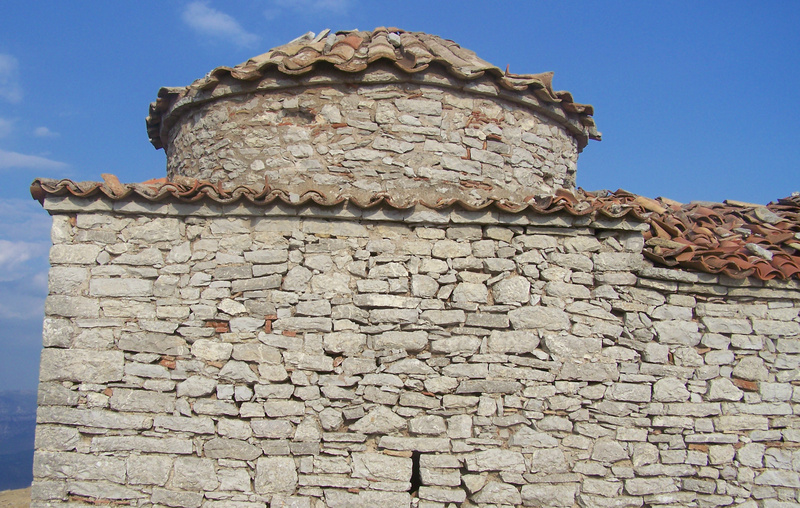 Over the area of the hearth a dome is formed with a lowered octagonal drum. In 1712 in the continuation of the west ward an arched dining room (trapeza) was built, as indicated by an inscription within the frame of the only entrance. Along the northern side of the dining room there is a colonnade, included in the construction project of the early 18th century. 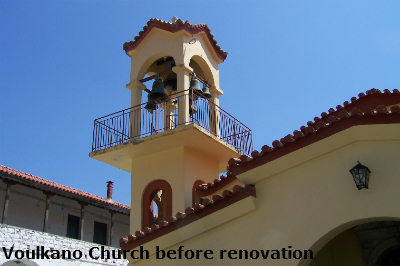 A second warming room was revealed during the recent restoration work of the monastery complex to the southern end of the western ward. Later (18th-19th century) the northern ward was built along with the adjacent parts of the eastern and western wards. During the 19th century successive floors were added above the western, eastern and northern wards. At the same time the colonnades which define the courtyard of the monastery were constructed; the south-western in 1838, the western in 1842, the eastern in 1858 and the northern in 1861. 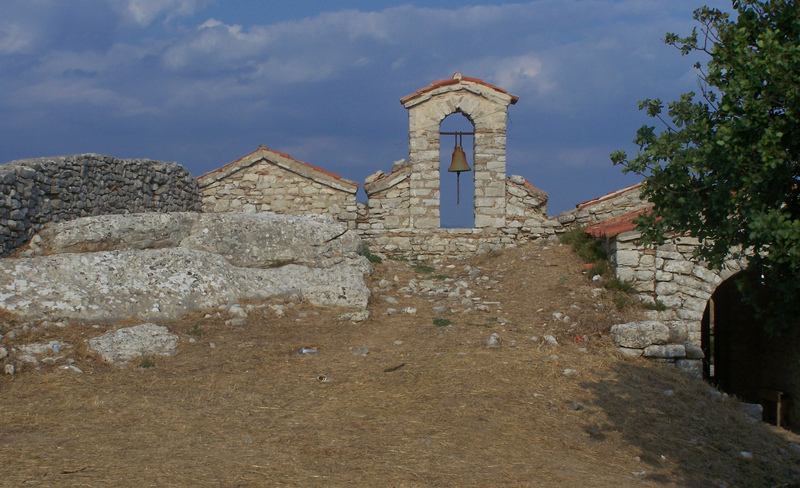 During the excavation around the church for the examinations of the foundations, along its northern side, architectural remains were uncovered that belong to the stone foundations of a building of the Early Helladic period (2750-2250 BC), partly destroyed due to subsequent building. This was, until now, an unknown prehistoric site in an unexplored area of the Messinian field, of strategic significance for the exploitation of the rich natural resources of the region and control of the Messinian plain. 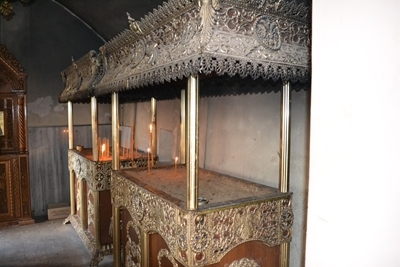 In the monastery, which has its celebration on the 15th of August, important manuscripts and relics of saints are preserved, those of Ioannis Chrysostom and Dionysios the Areopagite, holy utensils and vestments, those of Patriarch Gregorios the 5th, and also the miraculous icon of the Virgin Mary the work of Luke the Evangelist. Each year on its celebration day a religious festival and trade fair takes place and there is a procession with the icon of the Virgin Mary, which is carried up to its original residence, the old monastery standing on top of the mountain. Lighted candles are placed in the "narthax" as you enter a church or a monastery. The lighted candle is very symbolic during many ceremonies within the Greek Orthodox church. The candles represent the light of Christ according to Jesus' own words, "I am the light of the world; he who follows me will not walk in darkness, but will have the light of life". 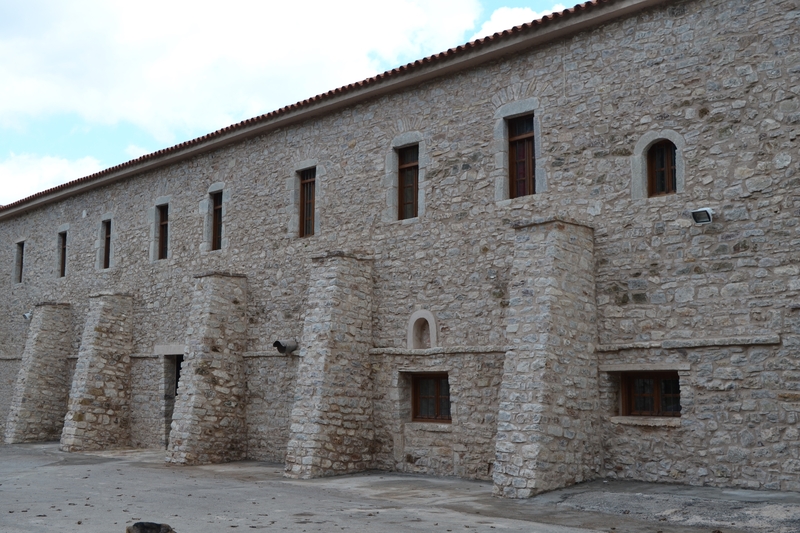 The Monastery of Voulkano has always been exclusively for men and it never stopped functioning as a working monastery. Today the new monastery is the only male Convent of Metropolis in Messinia. I have recently been made an honorary member of ecotourism-greece.